Replacement for Kimbrel and Kelly and Eovaldi? This would be the Mets’ solution. Thankfully DD will trade away his younger grandkids for another WS next season. Sounds good to me. I could die any day, more WS now. I would sell the rights to my future grandkids for a World Series. If you read the article, that is not what it says! Just a trade by a team with room on the 40 man roster. Probably didn’t give up much. Interesting stats. How in the holy hell is pirella not on this list? Offers position flexibility and platoon potential. RH bat to pair with Urias if he struggles against lefties and same with Cordero. Assuming you deal myers and 1 of renfroe or reyes giving cordero 1st grab at a corner spot. I would ditch Mitchell too even though he had a few good starts at the end of last season. ??? Quiroz bats LH. Urias bats RH. Just to add on pirela batted a manageable .260/.324/.397 line against lefties. Platoons with Hosmer sorry not urias greg garcia and Cordero depending how things shake out. I see garcia and pirela splitting time at 2nd to delay urias clock. A .721 OPS as the short-side of platoon who also can’t play defense has no value. Pirela is first to go IMO. @gleybertorres25 they can still start him in AAA for the first 2 months to delay his FA. Not saying that’s what they’ll do but it’s possible. I’ve finally encountered the second Pirella fan (other is Preller obviously). I don’t get it. After the damaged goods deal with Pomeranz, I wouldn’t take anything from the Padres. You do realize Anderson Espinoza needed tjs almost immediately after being traded to the padres and hasnt pitched since right? Pomeranz gave the red Sox way more production than padres got out of Espinoza thus far. ey will do your penance. So yes Pomeranz was our best starter in 2017, but he was awful after the trade in 2016 and in 2018. Espinoza pitches in the minors for you in 2016, hurt his arm in the spring, they tried to rest it but eventually in like June his UCL gave out. And he was young for his level so it’s not a big deal, now almost a right of passage for pitchers. Padres killed the Sox in that deal. That Chris Sale was garbage last year. No wonder Red Sox have no farm system. Dealing Dombroski strikes again. Yeah, the 2018 World Series Champions have a poor minor league system. And all they got out of those deals was possibly top 3 starter in the AL with Sale, a top 3 closer in Kimbrel and a 17-game winner in 2017 in Pomeranz. What a terrible GM. If you want people to take your comments seriously I’d leave out that “17-game winner” thing. Especially considering my dead grandmother could win 17 games in a season with the 2017 Red Sox’s offense behind her. Until Espinoza actually pitches in the Majors…..no,no they didn’t. Pomeranz had to be traded. Really the worst thing you can say about that trade for the Padres is that they should have traded him for something else. Your grandma had quite the knuckle ball but Pomeranz’s numbers in 2017 backed up the 17 wins. He had a good year and the Sox wouldn’t have made the playoffs without him. I know this is all hindsight but no way the Red Sox make that deal knowing what they know now. They failed to win the WS (or even make it) in 2016 and 2017 and Pomeranz was below replacement during the 2018 regular season and didn’t pitch for the Sox in the postseason. Unless you think Pomeranz has some serious positive intangibles the Red Sox still win just as many World Series without him and then Espinoza might have helped them out down the road. Thanks redrooster for the info. Bag of baseballs, a couple Tom Brady signed footballs, some Bruins hockey tickets for the fellas, and 2 month supply of clam chowda. Fine keep the tom brady stuff. Clam chowder is non negotiable. What class are you not paying attention to right now? Lol…just curious. Busines Statistics (p values, statistically significant #, R values, reject null/alternative hypothesis) with Calculus w/ derivatives (anti- derivatives honorable mention) “Last math class ever have to take.” what I use to get through my day. No wonder you like stats. Confirmed or you just hoping lol. Thatd be a gross overpay from the Sox imo. Maybe if yates and stammen are included dalbec would be part of the package going back. I would like to acquire Dalbec and give him a shot at the starting job. There are some rumblings of Villanueva being let go to the NPB. Strange. Unless the Sox have another trade on tap to open back up a fifth 40-man spot, they’re going to lose a guy in the rule 5 draft. They’ve got 3 guys who are no brain ETS to protect — Chavis, Lakins, and Darwinzon Hernandez— But now they’ll have to choose between Josh Ockimey and Josh Taylor. Seems likely that whoever they don’t protect is going to be taken. Taylor is a lefty with a mid nineties fastball and useable secondary pitches, so he’s guaranteed to go and relatively easy for any bad team to stash in their bullpen all year for garbage time if he’s not ready for the bright lights yet. Do I have this right, Bert, that you think the Sox won’t protect those three guys? If so, you are right that they will be drafted and have a chance to stick with their new club. No, he is saying Chavis, Lakins, and Darwinzon Hernandez will be protected. The Red Sox like the other 6 or so front running 2019 WS contenders need to stock up 40 man with AAA arms with options. These teams that are all in need pitching depth that can be optioned to AAA to sustain the eventual pitching injuries during a season. This is more important than using a 40 man roster spot on a AAA OF or IF with 50% chance of maybe making it to MLB one day. Esteban Quiroz, according to Drelick. Still seems like an over pay for a guy with a chance to be a decent second baseman whose in triple A. They need the depth right now because of Pedroia’s uncertainty and the general badness of Nunez as an everyday player. Worth trading Brewer just to clear a 40 man spot. Quiroz looks like he can hit a little bit (scouting the batting line) but is old for a prospect. Seven years in the Mexican League. Lifetime .402 OBP. Hit 7 HRs in only 87 at-bats last year. They need a few middle infielders for Double-A and Triple-A next year. They have none on the El Paso roster since Dusty Coleman and Diego Goris were let go. Quiroz played 24 games in AA after 8 in RK ball. That is the extent of his professional experience. He has never played in AAA. He played in the Mexican Summer League for several years. That is a professional league. Clears a 40 man roster spot. 5 more to go. Very nice trade, Padres get a really interesting piece that they don’t have to add to the 40 man until they choose. 1 year in professional ball, they can take their time with him, ignore the age. The value is there as upper level depth in the organization and most importantly he can hit!! Too many Punch and Judy SS’s coming through the system like Guerra. Quiroz looks like he can swing it, and can play both middle INF spots along with 3B huge value for only Brewer who was essentially a roster dump. Keep it going Preller, that was Chris Paddack’s roster spot opening right there. Quiroz is Hunter Renfroe’s age and hasn’t played above AA. He is not an interesting piece. All this does is clear a 40-man spot. We got something for a player that was likely to be DFA’d. Pretty nice OBP and K%, so I concur he’s an interesting player. Indeed, and he’s a versatile infielder as well. Played 3B, SS, and 2B in Mexico. Interesting guy going to SD despite him being a little older. He comes with a great turkey chili recipe. The Red Sox don’t have to respond to anything the Yankees do. They’re the champs. The Bard’s best comedy. Love me some Beatrice. This is also the first trade between AJ Preller and Dave Dombrowski since the whole medical records fiasco. Granted this is barely a half-step above a straight DFA. 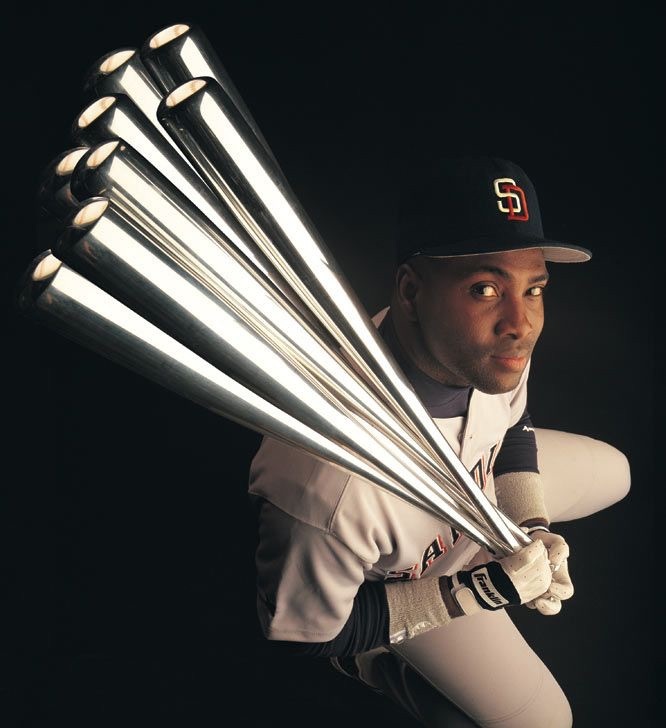 I wonder if Dave is having Thanksgiving at the Rockstar GM’s house this year as well……never say never…Go Padres! Im skeptical the Padres dump Pirela. Andy Green seems to love him for a weird reason. SOG. Lockett’s already gone …. to Cleveland. It seems like the Padres have had Rea forever. I wish Spangy had worked out better. Still remember his debut. Hoped it was the start of something… gaaaaa still hoping even today! This will be a long year… Come on 2020! Depth piece for Red Sox with options that can be shuttled back and forth from AAA to MLB when pitching injuries happen to every MLB team throughout a season. Padres get a middle infielder that doesn’t need to be protected from Rule 5 that is close to MLB ready due to playing experience in Mexico. A minor win win trade. Maybe Dave knows something that isn’t obvious in Brewer’s stats because the stats are not very impressive.